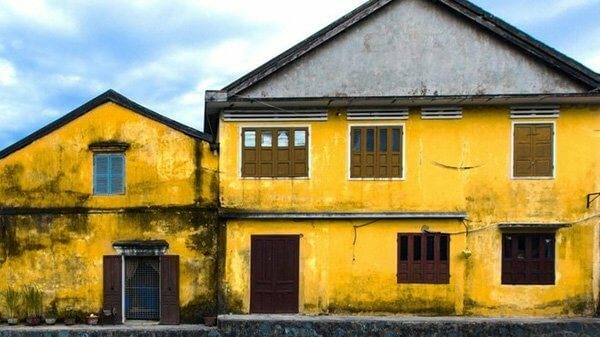 The first impression of many visitors to Hoi An is the attraction of the ancient houses dyed in the characteristic dark yellow. 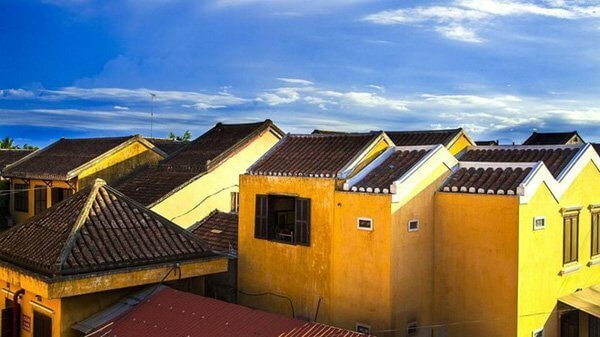 There are many houses in French colonial style, temples in Japanese style and wooden houses of Chinese merchant in Hoi An (Quang Nam province). However, the integration of culture and architectural style is not the only impression. The most prominent step into the old town is the rich yellow color of most of the houses here. Why yellow? According to the theory, many people think that yellow represents the royal family. 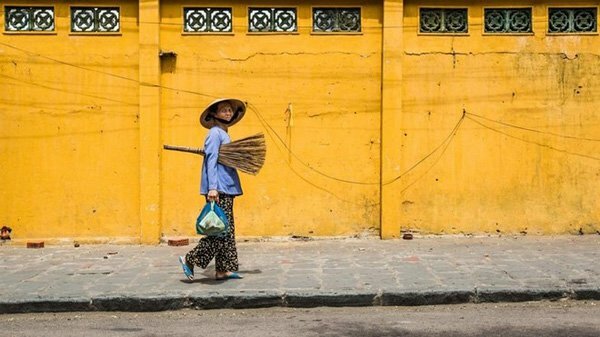 In fact, some people think that yellow is less heat absorbing, suitable for Vietnam's tropical and humid climate. 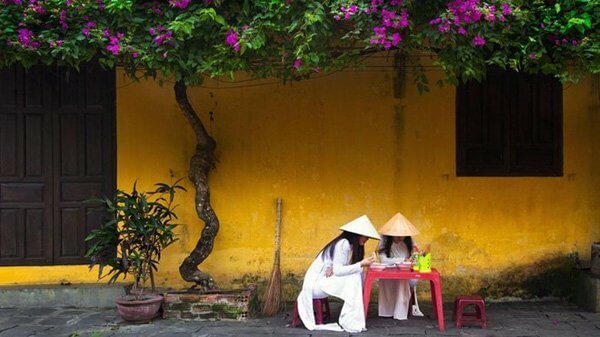 Whatever the reason, yellow is still the beautiful culture of Vietnam, symbolizing luck, pride, prosperity. Most ancestral altars in the Vietnamese family are decorated with flowers and gold-plated decorations. 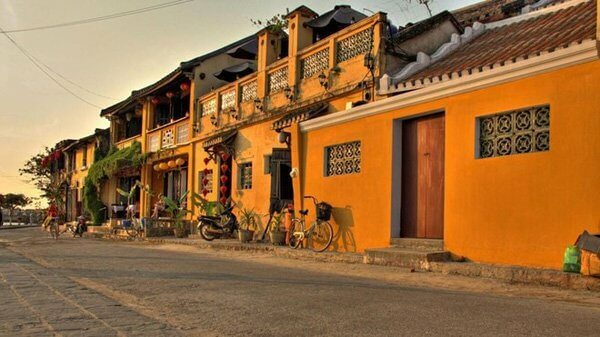 Hoi An has nearly 1,000 ancient houses. 844 of them are on UNESCO's list of cultural heritage. This impressive urban landscape has attracted many visitors and artists for centuries. 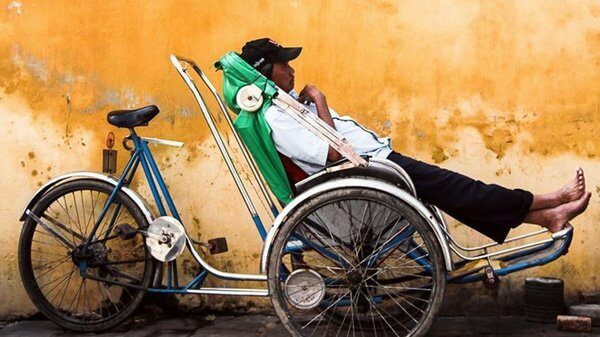 Photographer Réhahn - who has a long association with Hoi An - commented: "Hoi An like an outdoor gallery. Light and yellow walls create the perfect backdrop for any subject, constantly inspiring me. " 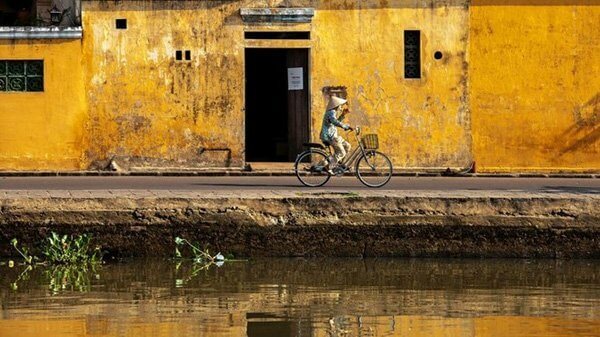 An enduring space: Hoi An ancient town is preserved strictly, retains the traditional wooden architecture of the 17-18 century with old streets, ditches, bridges and yellow walls everywhere. Over hundreds of years, this place has hardly changed. The buildings in the Old Quarter are uniquely designed: the entrance is outside the street, while the back door of the buildings opens to the Thu Bon River, making boat transportation easier. The sunrise scene in Hoi An has its own charm. Sunlight shining on the yellow wall creates a beautiful morning scene. 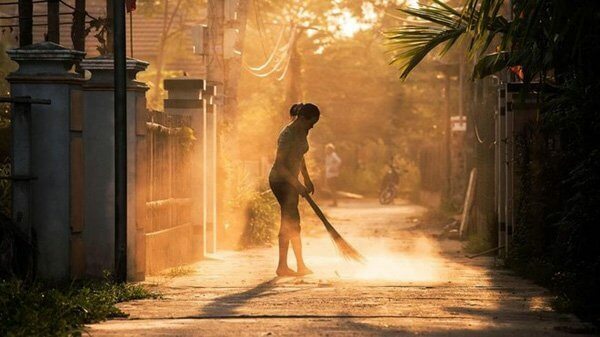 In the silence of the new day, the rare sounds you can hear are the brooms of people sweeping the house, clearing the road. 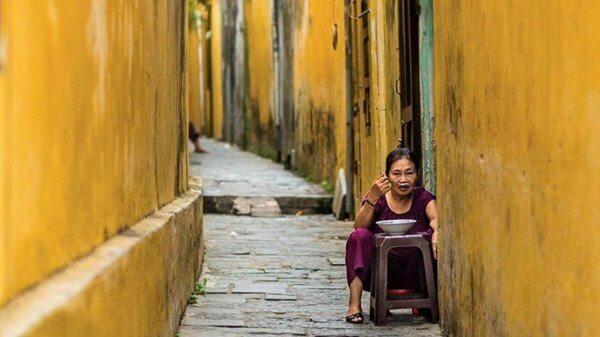 It is not difficult to see the image of local people eating breakfast around the Japanese bridge at Nguyen Thai Hoc and Tran Phu streets. If you get up early, you will see children eating breakfast on the way to school, and the girls usually wear traditional dresses. 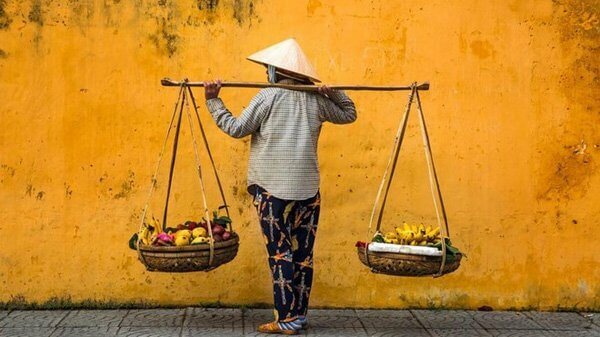 Time passes but many things in Hoi An live forever, like images of people carrying vegetables, fruits. Every day, hundreds of tourists pass through the Old Quarter. 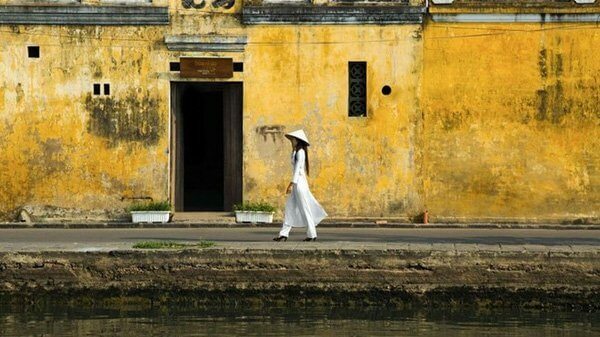 Living in the ancient town of Hoi An for many years, you can still discover new avenues, branching out into narrow lanes. They also retained the primitive, dyed yellow features. You will catch many surprises from the shop here. 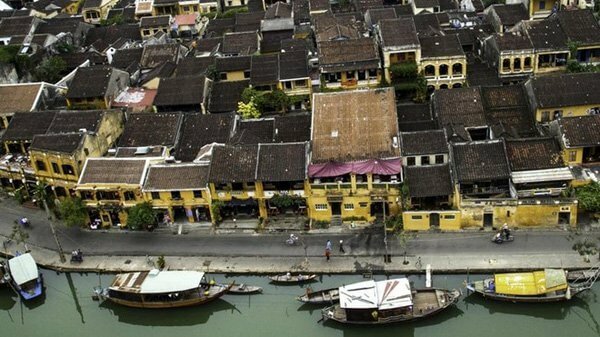 Integral architecture: Hoi An is one of the places in Vietnam to be preserved and developed. Hopefully, the old town will retain its charm, beauty and unique looks.